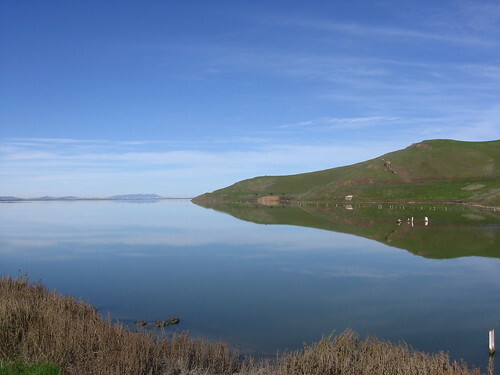 A Tri-Valley real estate blogger mentions taking his family to Coyote Hills for a sunset hike. The guy won’t be writing any breathless accounts for Outside, but the post does offer some ideas on getting the kids out of the house. I’ll always have a soft spot for Coyote Hills because it was the local for my first paid article about hiking in the Bay Area. Sometimes it stinks from all the dank, shallow water and the hiking’s barely much of a challenge, but I always manage to enjoy the sea-breeze-in-your-face vibe at Coyote Hills. Also: lots of waterfowl to watch. Travel back into time as we explore the lives of hunters and gatherers. We’ll bond as a Paleolithic tribe as we discover our world through a new language, learn to use primitive tools, create fire-by-friction and feast on meat (hot dogs) and grain (buns). Parking fees apply where charged. Reg. Required: 1-888-EBPARKS (1-888-327-2757).